I saw pictures of this amazing model and the crease pattern on Alexander Kurth's flickr page. I tried a couple of tragically failed attempts at recreating it using the crease pattern. Then, I saw that the designer had made a YouTube video. Originally, I had attempted to create it making the 32 horizontal and vertical grid. The video showed how much easier it is to start with the 64 grid diagonally. 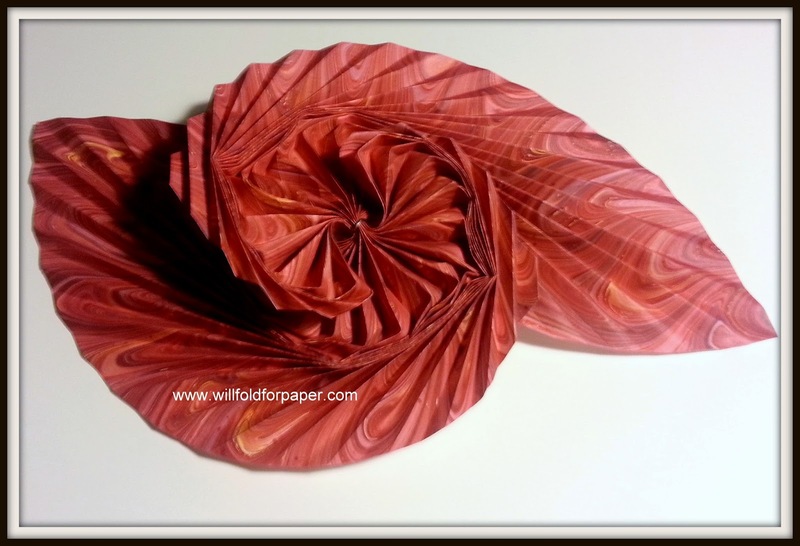 This is made from 11.25 inch square sheet (hand cut) of marbled paper, I had left over from several other projects. Thank you Alexander for the tutorial and exquisite design. I will be making many more of these!